Radiant, Charlie Beven, 1 pt. Ralphie, Taylor Pillsbury, 1 pt. Magic II, Jim Brock, 1 pt. Ralphie, Taylor Pillsbury, 20:23:00, 1 pt. 6. Radiant, Charlie Beven, 1 pt. We have a 2-way tie for 1st place, and a 3-way tie for 3rd place. 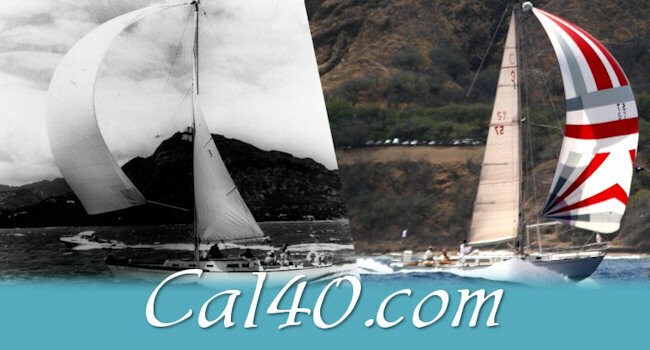 (Callisto and Celebrity each sailed one race against other Cal-40s. 2. Total Number of other Cal-40's in the race(s). (Psyche and Ralphie each sailed one race against other Cal-40s. 1 pt. Each. Magic II did not sail against other Cal 40s. 4. Total Number of Class-recommended races finished. 5. Not won class championship before. 6. Not won the class championship most recently. 7. Coin-Flip to be conducted by the Class President. Boarder Run ... no entries. LAYC Howlands Lay-over, Day 1. Tie-Break goes to Callisto ! ! ! The original intent of the High-Point Series was to spread the racing around as far as possible. Most of active the boats are in the LA / Long Beach area. From the out-set, we only scored the Long Beach to Ship Rock race as one race, just counting the race over. For future purposes, I am recommending that the LAYC Howlands Lay-over be scored the same way, so as not to exaggerate its importance over other races. We have not had entries in the Boarder Run race, but I do think that we need to maintain some connection with the San Diego boats. Maybe there is some alternative, later in the year, as they are now schedule their race in late January. 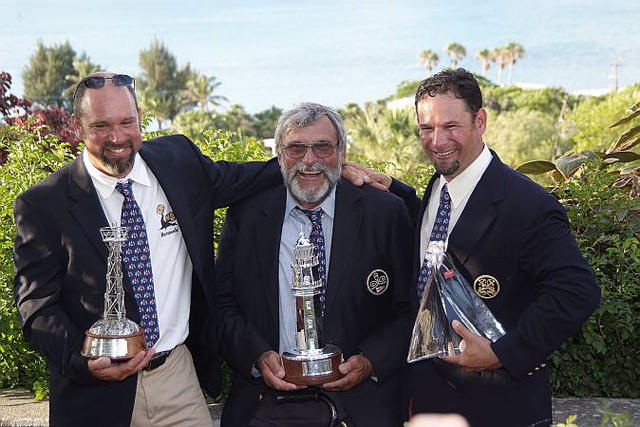 2014 Results:� Tie-Breaker to Magic II, for sailing in the most recommended races. 2013 Results: 3-Way tie-breaker to Melee, for not having won before. 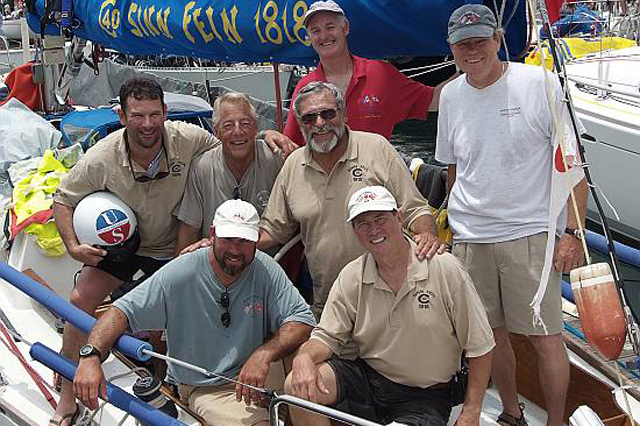 JIM BROCK, WITH HIS "MAGIC II" CREW, HAVE BEEN RACING WITH US FOR AS LONG AS I CAN REMEMBER... AND THIS WAS THEIR YEAR ! ! ! Points for these races count towards our class High-Point series, and any other scheduled race, starting in Southern California between Marina del Rey and Newport Beach, in which 3 or more Cal-40s start. Number of Cal-40?s in the race(s). Degree of difficulty of the races. No Parley and Dani Girl both sailed 2 races involving other Cal-40s. No Parley and Dani Girl both sailed only two ?counting? races. In Dani Girl?s Boarder Run Race, there were 4 Cal-40s, and it is the longest race in our series at . In No Parley?s victory in the race to Dana Point, there were 3 Cal-40s and the course is approximately half-the-distance of the Boarder Run race. Based on the degree of difficulty of the Boarder Run race, and more Cal-40s racing, it is my opinion that the tie between Dani Girl and No Parley should be broken in favor of Dani Girl. 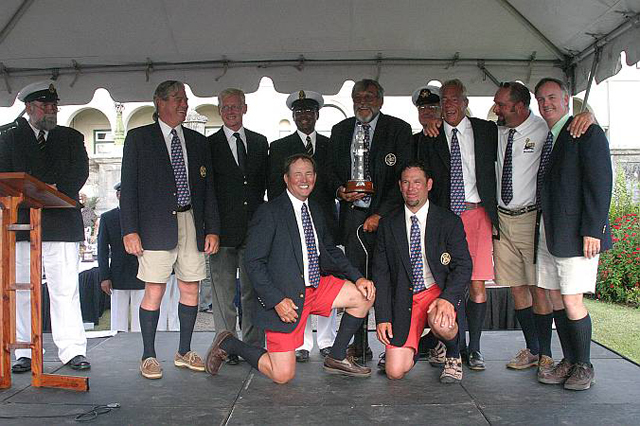 2010 Newport Bermuda Race 2010 - Attack of the Cal 40's!!! 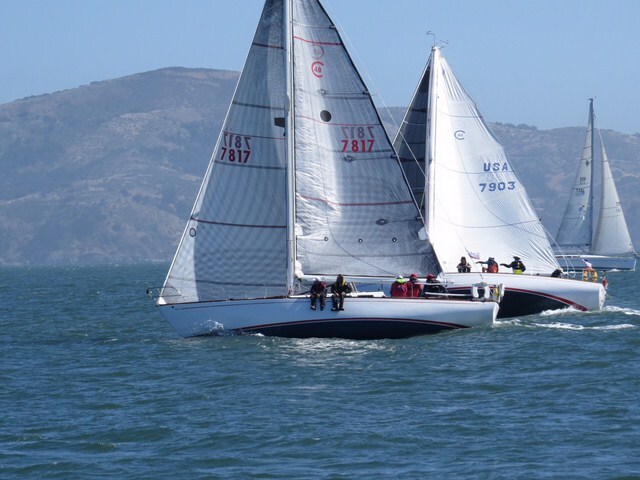 While Sinn Fein was not able to threepeat her amazing win overall, the Cal 40 fleet made a real statement this week by sweeping their class 1, 2, 3! In addition Belle Aurore, Sinn Fein & ?Gone With the Wind? 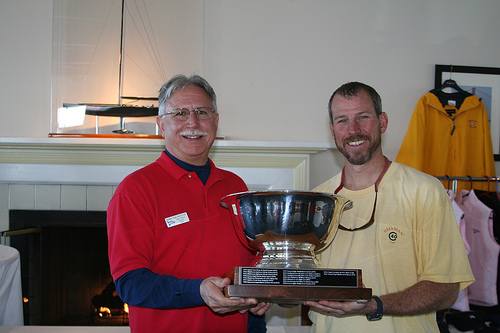 placed 3, 7, 8 in the overall standings for the St David's Lighthouse Division! 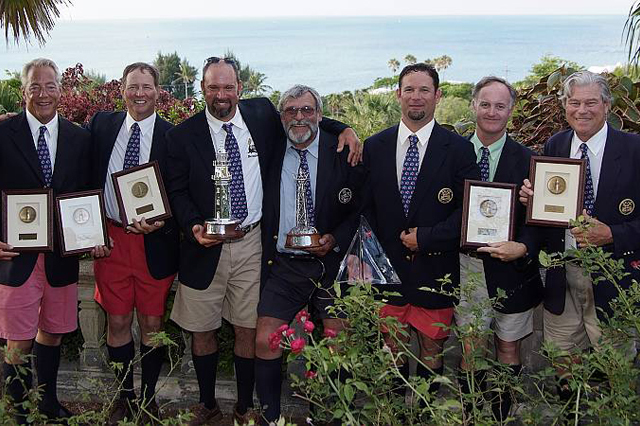 Congratulations to Peter Rebovich and team on Cal 40 Sinn Fein" who snatched up multiple honors at this year's Newport Bermuda Race, including the prestigious St. David's Lighthouse trophy for the top finisher in the IRC division. 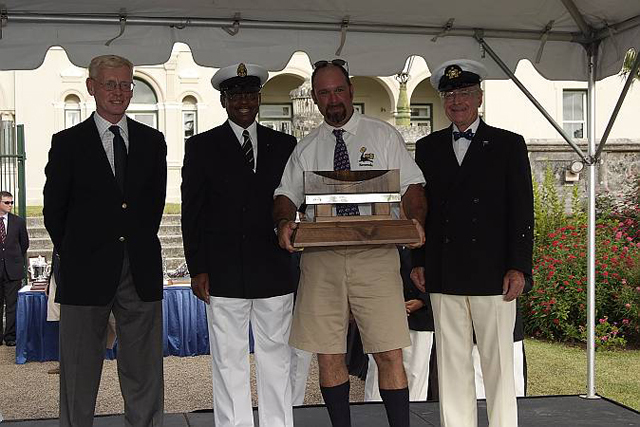 This is the second consecutive time the team has won the Lighthouse trophy. "Sinn Fein" also won the Class 1 division for the fourth consecutive time and was the first to receive the North Rock Beacon Trophy.